I have a pen pal named Ayah who is Muslim. During the Islamic month of Ramadan, she fasts from sunrise to sunset every day. (That means she doesn't eat or drink a thing all day!) 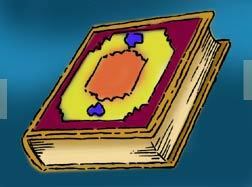 Muslims believe that during the month of Ramadan, their holy book (the Quran) was sent from God to guide the people. Ayah prays five times a day. She prays on a prayer rug, which she lays on the floor facing the sacred city of Mecca in Saudi Arabia. 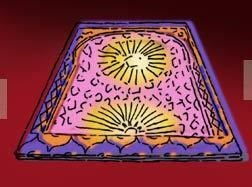 At the end of the Fast of Ramadan comes the joyous celebration of Eid ul-Fitr. Eid lasts for three days. 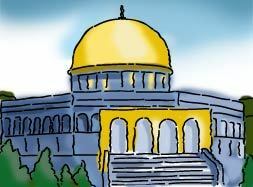 On the first day, Ayah puts on new holiday clothes and goes to pray at her mosque with her family. Then she goes home and has a big breakfast with family and friends. During Ramadan and Eid, streets and buildings are sometimes decorated with beautiful lights or lanterns. At Eid, people give to those in need, and exchange cards and gifts. They also wish each other "Eid mubarak!" 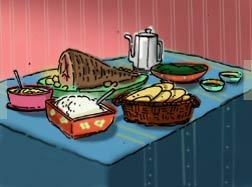 Ayah and her relatives enjoy a big feast together. They have all different kinds of foods, like lamb, fruits and nuts, vegetables and sweets. She says these cookies called "ma'amoul" are the best! They are filled with dates and nuts and sprinkled with powdered sugar. Yum! All rights reserved. All characters and underlying materials (including artwork) copyright Marc Brown. "Arthur" and "D.W." and all of the ARTHUR characters are trademarks of Marc Brown. All third party trademarks are the property of their respective owners. Used with permissions. The ARTHUR Web site is produced by WGBH Boston. 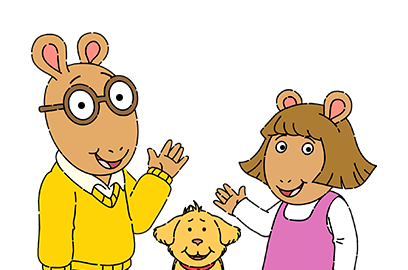 The ARTHUR television series is produced by WGBH Boston and Oasis Animation, Inc. Funding for the ARTHUR Web site is provided by the Corporation for Public Broadcasting and public television viewers. Funding for the ARTHUR television series is provided by public television viewers. Corporate funding is provided by ABCmouse.com.